It’s often said that it’s a “dog eat dog” world. Nowhere is this more true than in the world of business, especially when the economy isn’t doing so well. With tough competition, small businesses have to struggle to survive and this can cause a lot of stress and conflict within the office. High targets are needed, in order to make a profit, but as workers are put under increasing pressure, this can lead to tempers being short among the staff, or between staff and bosses, who may appear to be imposing unrealistic expectations from above. All in all, this can lead to a very stressful environment and conflict can become commonplace. How is it then that some companies deal well with conflict, while others seem to fall apart? – Accept conflict – conflict is going to happen; it’s a simple fact. People are different, so don’t try to avoid conflict. In fact, some of the most successful companies embrace conflict, because allowing different ideas to be heard, in a good way, leads to innovation and ideas being refined. Companies who avoid conflict, however, often end up just following what the boss says, even if the employees don’t think it will work. Creating a space where conflict is okay can avoid this situation. – Commit to a solution – differing opinions are common, but often we hold on to our own too strongly, even when we’re on the same team. When there is conflict, agree with both sides that we are looking for the same goal and want to find the best ways to achieve it. This will reduce the tendency to see someone as right or wrong, and rather view it as having alternative solutions. – Listen – this can be tough when someone is saying things we don’t agree with or even making personal attacks. If this is the case, rather than taking it personally, ask the person to explain what they mean. Their initial attack is often just the result of pent up anger from not being able to express it in the open. When given the chance, however, they can often explain the roots of the problem, which leads to solutions being found. 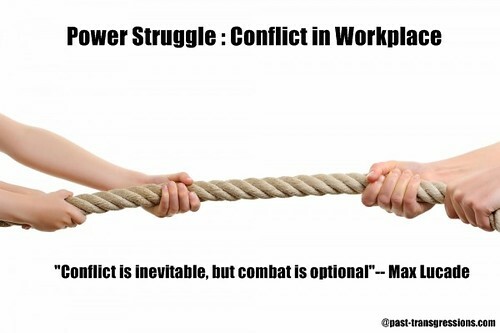 With the tips above in mind you can make a big difference in dealing with conflict in your organisation. Change, however, won’t happen overnight, it’s a long and difficult process that will take considerable effort to achieve. Whilst dealing with existing conflicts in your organisation it may be necessary to get external help, in the form of a mediator or a solicitor. These can often be found locally, just search for employment solicitor derby, or wherever you may be based. Just remember that while conflict is normal, that’s no reason to deal with it alone.